Less is more – or could be. Painting is not something I am comfortable with, so this term’s project to produce a landscape has not been easy. Having to work on something over a period of weeks is another challenge – when it comes to paint I have an even shorter concentration span than usual. Of course, like most things that challenge us, it has produced some unexpected and interesting results. I started with an imaginary landscape called ‘The Dreamboat’ that had an estuary, promontories, two boats, and maybe a light house. It is still ‘The Dreamboat’, but this is what it is currently looking like. The light house was first to go, followed by one boat. Then some rocks appeared in the foreground, and the other boat vanished. Now the rocks have gone too. I’ve painted the sea over and over again, gradually discovering that I can reinvent the scene almost endlessly as I try to convey a mood or atmosphere. The subtleties of tone become increasingly significant as the features are painted out. Less is more even when painting, I have discovered. Gradually taking away the obvious landmarks and recognisable features opens up another way of communicating. It makes me think about silence. In psychotherapy, silence is significant, and even noisier in group therapy than in individual work. I must have spent a lot of hours sitting in groups where no-one is speaking. We look around, gaze the floor, stare at the ceiling, glance at the clock and examine each other’s shoes. Read a few episodes of The Wednesday Group and you will see the importance of footwear in group psychotherapy! At some point someone (probably me) asks what is happening in the silence and we might struggle to put the thoughts we have been having into words. Sometimes it is the tone of the silence that is important. How does it feel, what sort of atmosphere, what does it convey? Then we are into the same territory as landscape painting, I think. Often we end up talking about an image – someone will try to describe how they have experienced the silence in visual imagery, and we share our reactions to this imaginary scene or landscape. How do you convey the subtleties of experience in words or images? We are not all poets or painters, and words can be clumsy and crude, just as images too can be clichéd and lifeless. Taking away the easy phrases or formulaic images might leave us with a seemingly empty canvas or silent space. It might, however, spark the realisation that under the surface of life there is more going on than we thought. 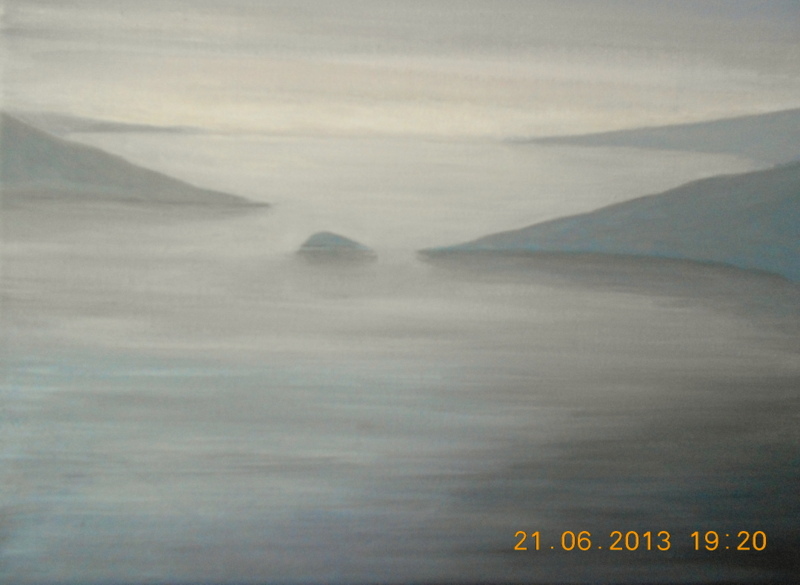 This entry was posted in Uncategorized and tagged connections, emptiness, group therapy, images, landscape, painting, psychotherapy, silence, space on June 24, 2013 by Chris.